The family of a St Helens man killed in the town centre have paid an emotional tribute to a much-loved actor, poet and musician. Len Saunders, who was also some known by his stage name Len Banana, died on Sunday after he was assaulted in Ward Street, St Helens. Police say he was attacked after being approached by two passers-by and asked for a cigarette. When Len said he did not smoke he was violently assaulted. Len was a well-known and much-loved figure in St Helens artistic community. He was regular performer at poetry nights and also did work as a film and television extra. The 65-year-old’s family have issued a statement, paying tribute to a “beautiful soul”. “Len was a beautiful soul who dedicated his life to charity and volunteering work. “He was a talented actor, poet and musician who never stopped helping people, even in his final moments. 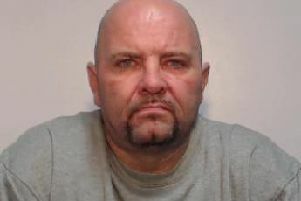 Two teenagers aged 15 and 17 have been arrested on suspicion of Len’s murder.